During the summer I had a fear that I think many parents have. I worried that Jayden may lose some of what he learned in Kindergarten. Then he would struggle when he returned to 1st grade. So I tried to keep working with him over the summer with reading and some math pages his teacher sent home. But of course he looked at it as homework and really didn't want to do it. I had seen ABCmouse.com advertised on television many times and even some reviews on other blogs. I was very interested in trying it out. 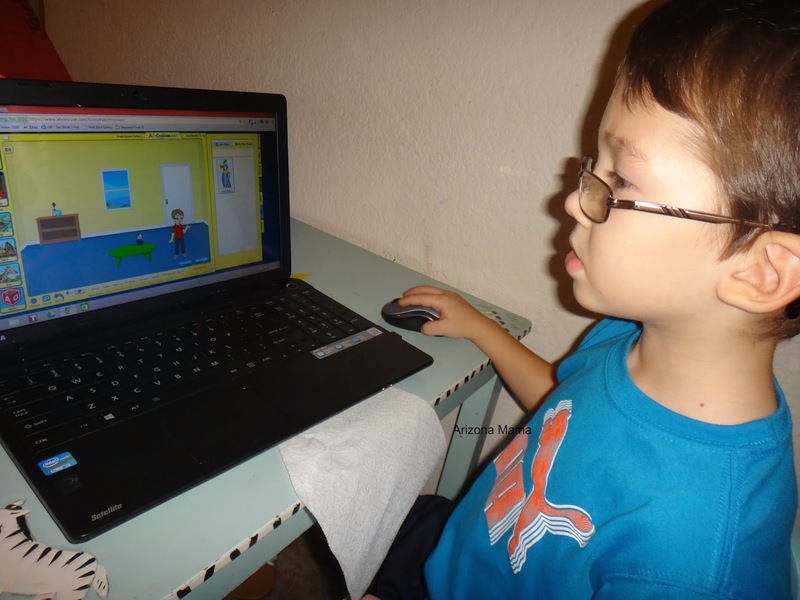 ABCmouse.com is a subscription based learning game program. Children can learn, play, and explore either with parent help or alone in a safe and secure online environment. ABCmouse.com has a curriculum that was developed with the help of many Early Childhood Education professionals. The program is for preschool through Kindergarten. With preschool starting as early as 2 years old. Children move along the curriculum learning as they play. Children can also choose to go off the prescribed curriculum to play other games. They collect tickets along the way and then can use those tickets to purchase prizes. I started Jayden at the Kindergarten level since he has completed Kindergarten and started 1st grade this year. I wanted him to review what he has already done. Jayden has explored the site playing in the classroom doing the lessons a little. But he mostly likes to explore different areas and collect tickets. Once he collects tickets he loves to buy items for his room, hamster, and aquarium. Although he is trying to get the most tickets ever. The games are fun and engaging. Some of the games include puzzles, coloring, tracing, sight words, numbers, shapes, patterns, books, and more. As I was looking at the site I realized that you can actually add up to three children to the account. So I thought I'd try Evan out using it. They have a toddler stage to start out at. Evan was so excited that he could play fun games like big brother. He did really well with limited help. Evan has actually completed more levels then Jayden since he continues to go through the levels while Jayden plays in other areas. The best thing that I recently found out was that it is also an app. I was able to add the ABCmouse app to my Kindle and Jayden's tablet. So the boys can play the games on the tablets. And the best part of using it on the tablet is that there is no need for a mouse, you can simply use your fingers. That for sure makes it easier for Evan. Our family is really enjoying the ABCmouse.com subscription. I see my boys learning while they have fun. I have heard such great things about this program. I really want to get this for my children. I think it would be so great for them to learn! Definitely better than watching t.v. and playing games on the computer. At least they'd be learning something! I love that it can also be used on a tablet - my girls both have Nabi's. And how awesome that Evan could use it too. Willow would think she is such a big girl! 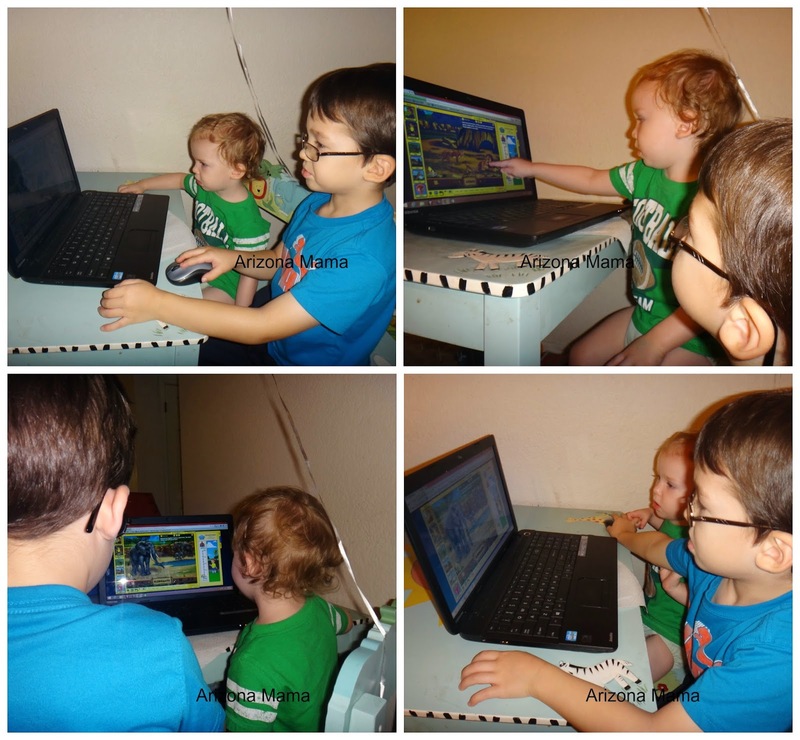 A friend of mine who has two toddlers at home uses ABCmouse.com as well. She said, it's a fun learning site for kids.